U.S. Air Force Brig. Gen. Trent Edwards has been assigned as director of budget operations and personnel at the service branch’s Office of the Deputy Assistant Secretary for Budget. The Defense Department said Friday Edwards most recently served as director of programming and financial management and comptroller at the Air Force Space Command, where he managed an approximately $10 billion budget for operations, maintenance and investment efforts in the military space and cyber areas. He also led AFSPC’s efforts to establish a Program Objective Memorandum and provide accounting, financial planning and audit services to more than 35,000 space and cyberspace personnel. 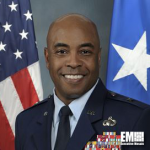 The 27-year Air Force veteran previously commanded two controller squadrons, a mission support group, an air base wing and training wing as well as served as aide de camp to the Commander Air Education and Training Command and senior military assistant to the DoD comptroller. Edwards was also deployed to Cuba as chief of staff for the Office of the Administrative Review of Enemy Combatants, Iraq as CJ8 to the Combined Joint Special Operations Task Force and Afghanistan as CJ8 for the NATO Training Mission/Combined Security Transition Command-Afghanistan.